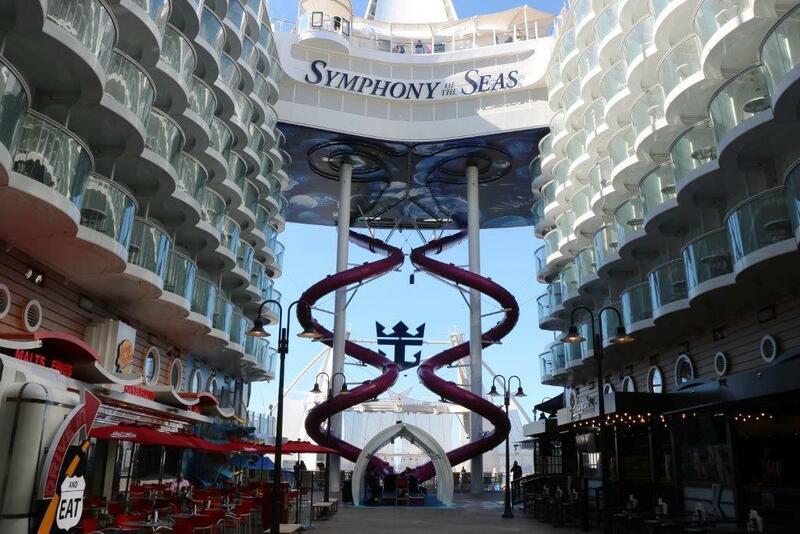 Say hello to Royal Caribbean’s Symphony of the Seas, the world’s biggest cruise ship, where kids of all ages, plus parents and grandparents, can holiday together but not stick together. 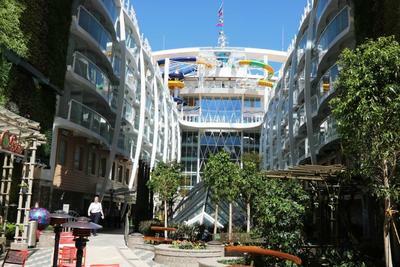 I was on board the ship for a couple of days before the paying guests, so had a good opportunity to look around. The numbers are amazing. 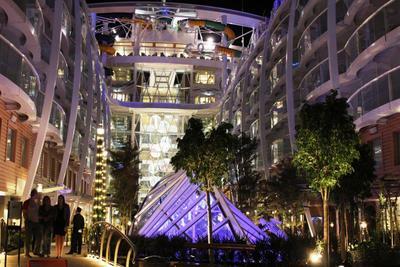 When completely full the ship can hold 6,680 guests. 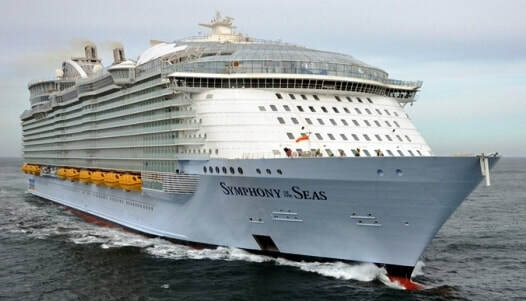 It weighs 228,000 tons, is 1,188ft lomg and 215ft wide. The ship has two banks of cabins so guests have a choice of balconies facing out to sea or facing inwards over the central features, the Boardwalk and Central Park. 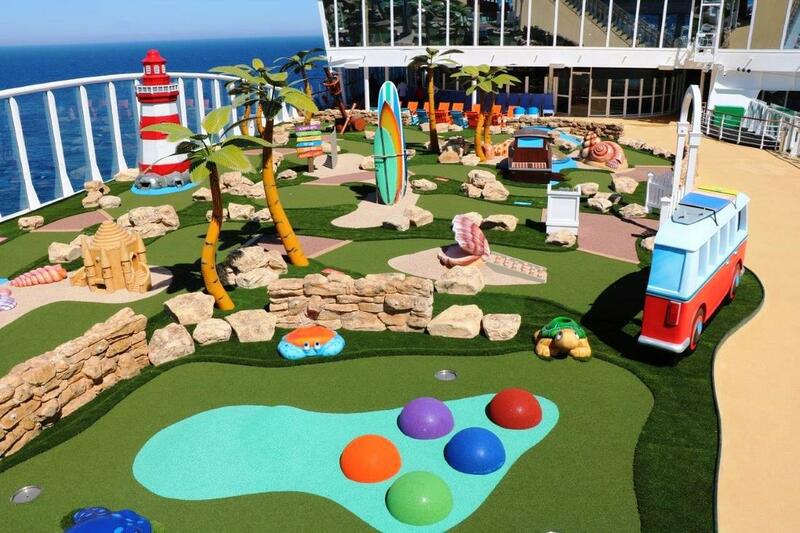 ​The ship is crammed with things to do for people of all ages. Central Park is a delightful area with ten thousand plants and trees and the small Trellis bar; it's surrounded with restaurants including Jamie’s Italian. Central Park is beautifully lit at night and I enjoyed a peaceful evening drink in the open air. 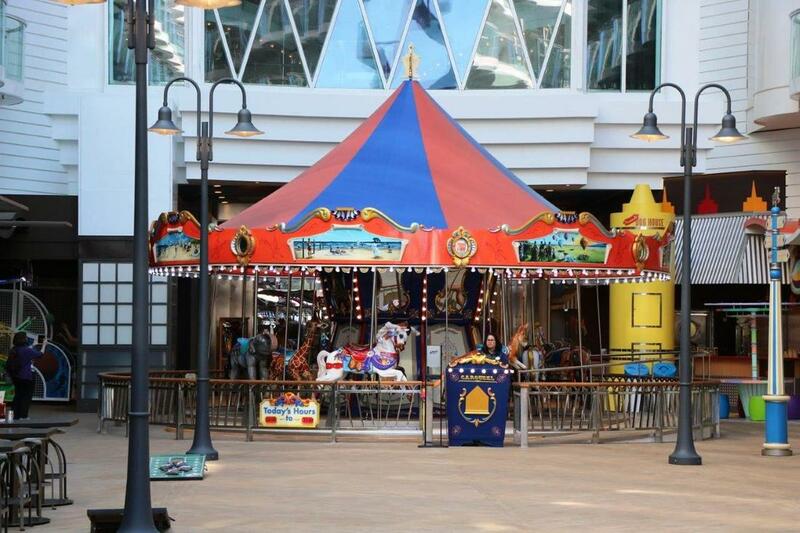 In contrast the Boardwalk, with fast food outlets and Playmakers sports bar has a buzzy ‘end of the pier’ feel. At the end of the Boardwalk is The Ultimate Abyss, the highest slide at sea – well two slides actually - so guests can race each other to the bottom. There are two rock climbing walls, a sports court and a zip line that’s nine decks above the Boardwalk. 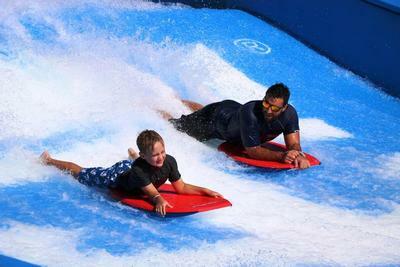 There are two Flow Rider surf simulators that shoot water up a slope at around 25mph so guests can surf and body-board without moving (much). There’s also an ice rink and, for those less energetic, crazy golf. ​The professionally staffed children’s clubs are truly comprehensive. 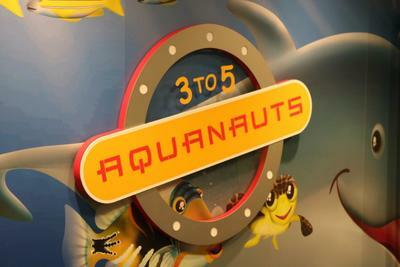 Royal Babies and Tots caters for kids from six to thirty-six months. Parents can enjoy a short play session or leave their youngsters for a small hourly charge. Unlike most ships, Symphony carries swim nappies and has a specially filtered pool, so even non-toilet trained kids can have fun splashing around. ​The teens club (12-17) is a ‘come and go as you please’ facility. 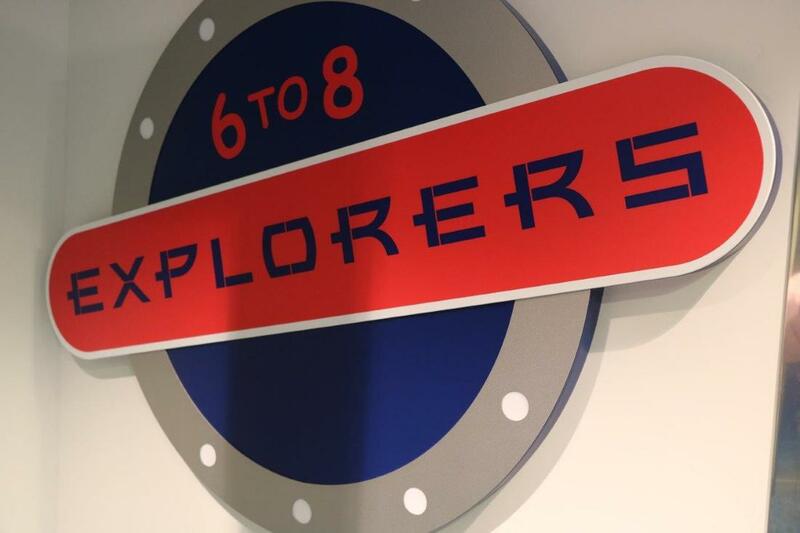 The Teens Only areas include an arcade of games plus a lounge and night club; no parents are allowed and they’re open until 1.00am. Activities include dinners, pool parties, BBQs, themed nights and discos. 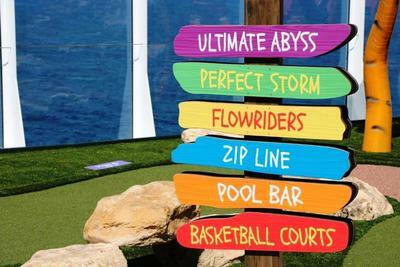 There are also sessions where the use of facilities such as the zip line and Flow Rider are reserved exclusively for the club. 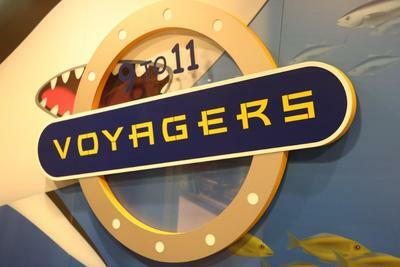 If the ship is busy then the group is split in two, one catering for 12-14s and the other for the 15-17s. Teens are notoriously difficult to get interested in excursions which often include historical and cultural elements, so if your teenager has just found the love of his or her life, then they can stay on board and do their own thing while you explore ashore. Barcelona or Burger, Pisa or Pizza – no contest! Unlike traditional cruises where guests are assigned a timed sitting and table, with every third night being reserved for formal dress, Symphony’s guests eat when and where they want from a choice of twenty venues, and there are no formal nights. Seven dining venues are included in the fare with another thirteen requiring a small extra charge. Again all age groups are catered for. 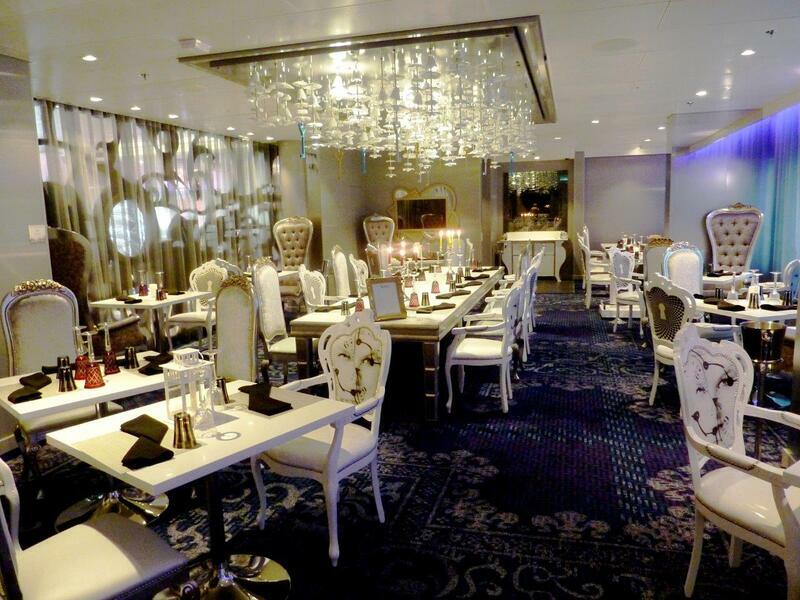 The main dining room offers a different menu each night whilst there are a number of speciality restaurants. Fans of Japanese food have a choice of sushi and sashimi, meat lovers can indulge in Chops Grill, and fish lovers can get their fill at Hooked. If you fancy Italian then as well as Jamie’s, there’s Sorrento’s, a US/Italian mix serving a range of pizzas. For something different, 150 Central Park offers a six course tasting menu with great wines. 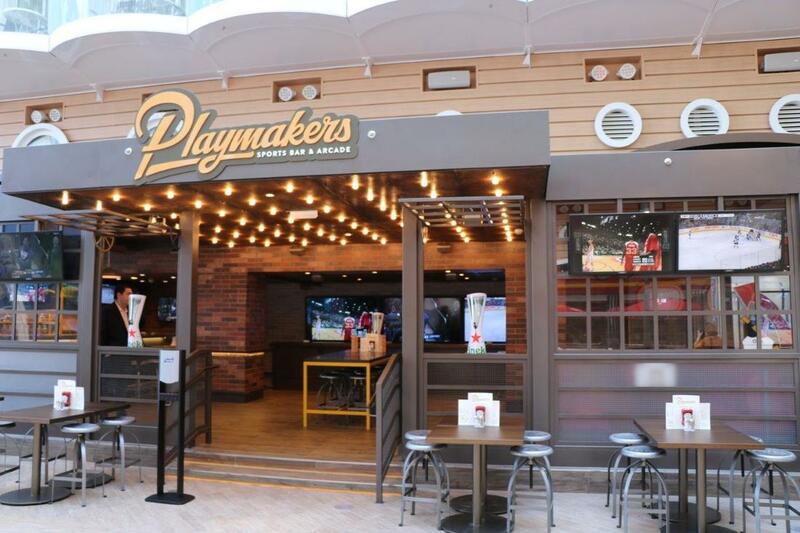 There are also numerous bars ranging from a traditional pub to the bionic bar where your cocktail is prepared by a robotic arm. You can even have a drink in the Rising Tide, a bar that moves up and down between three decks. Again, kids are not forgotten. 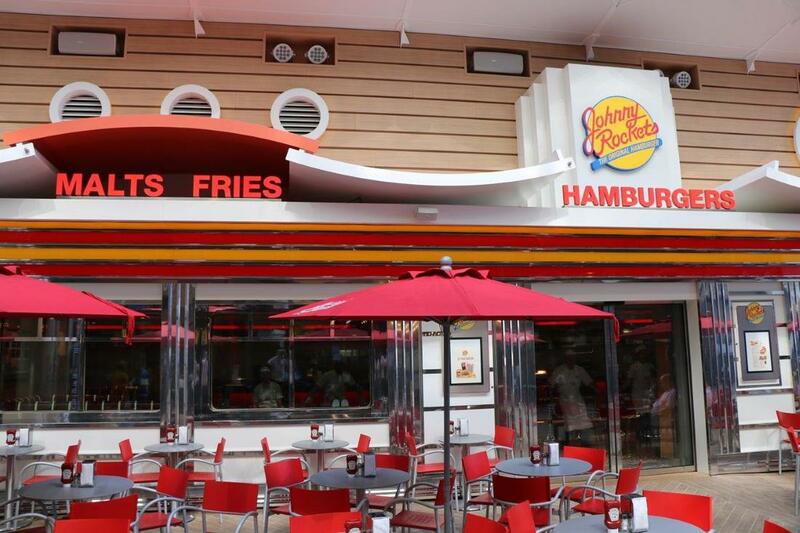 Jonny Rockets is a 1950s style diner specialising in burgers and hot dogs. If you want something a little more restaurant-like, Wonderland is the place to go, inspired by Alice herself. The menu brought to your table is blank but you’ll find a paintbrush and water to hand. Wet the menu with the brush and items such as Halibut cooked in clear paper, and The Bird’s Nest, consisting of smoke, blue cheese and hot sauce, will appear. After dinner there’s a choice of entertainment venues. Shows in the main theatre include Hairspray, winner of eight Tony awards, whilst in the ice rink you can see 1977, a story about the fictitious theft of the Crown Jewells. Hiro is a new show that takes place over the Aqua centre at the rear of the ship. 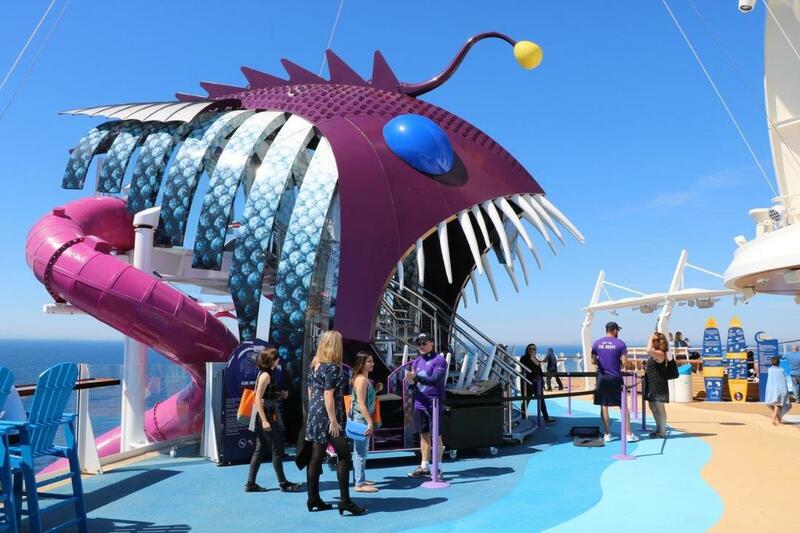 Because it’s in the open air and usually while the ship is at sea, every performance is likely to be slightly different due to the weather and sea conditions. 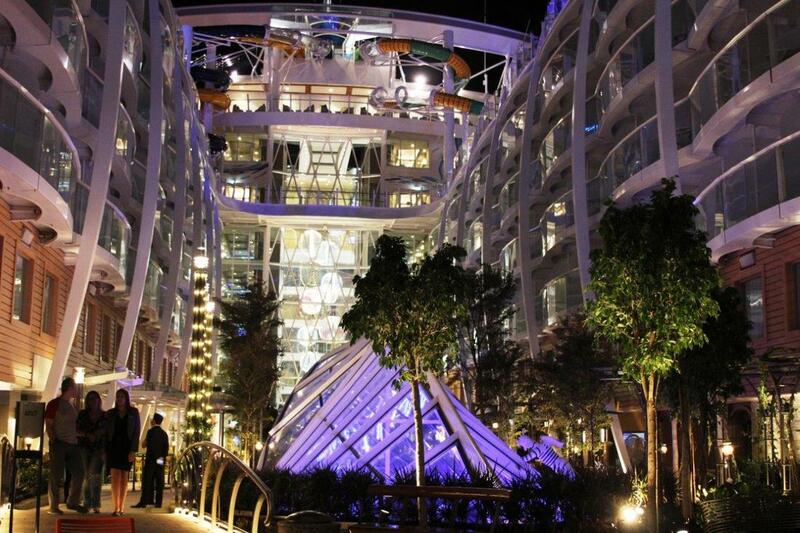 Surprises are everywhere. Getting into the lift on one occasion I found myself sharing it with the pop-up pianist so was entertained as I travelled to my destination. Leaving the buffet on deck 16 I decided to walk down the stairs and was amazed to find that as I did so it played Arabesque, each step playing the next note. 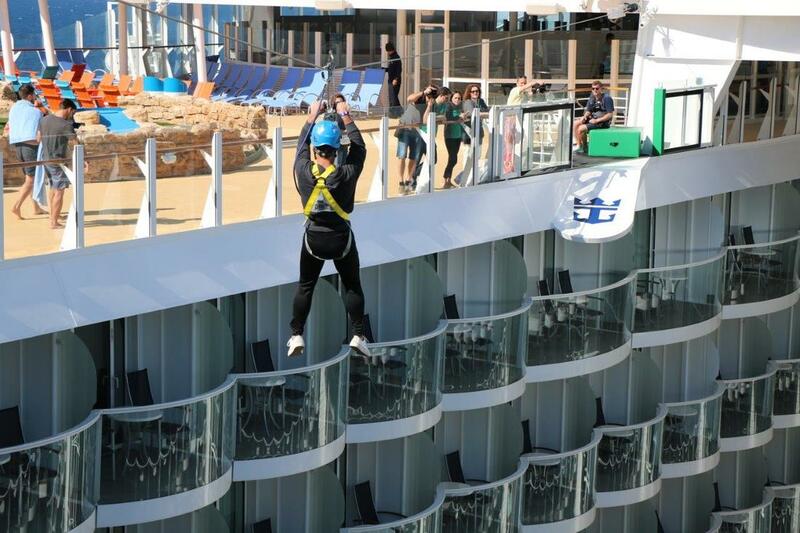 The faster you climb up or down the faster the tune plays. After a hearty lunch was pleased it wasn’t Chopin’s Minute Waltz!